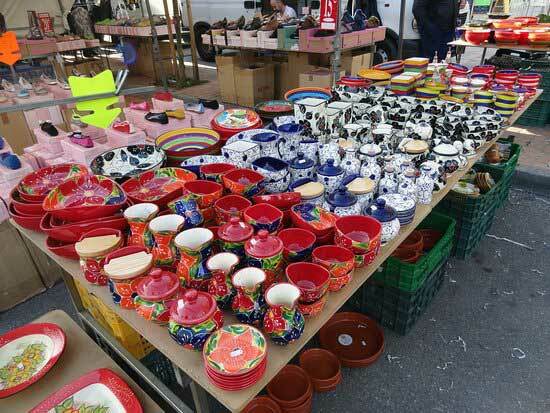 Fuengirola street market on the fairgrounds is considered as one of the biggest in Andalusia and along the Costa del Sol. Here you can find all types of objects, souvenirs and bits and pieces. Around the region of Fuengirola have developed important handicrafts with a good amount of master craftsmen, working with such varied materials as leather, furniture, gold and silver, pottery, wrought iron, saddler and others.